Haha, Wow! By Reductress: Hillary Clinton Won! 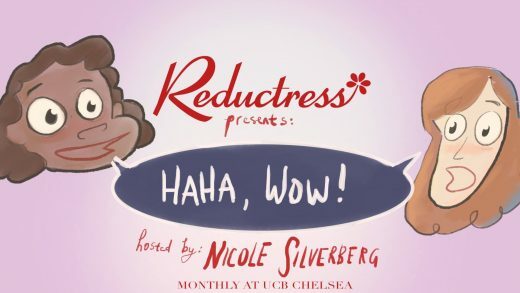 Thursday, November 10 at UCB Chelsea, 8 pm: $5. August 1 at Over the Eight, 594 Union Ave, Brooklyn. This show is free and starts at 9:30 p.m. More info on the event page. Comedian Riley Soloner is hosting an open mic in which he will let anyone in the audience—including complete strangers—roast him in any way they want. Soloner is an improviser and comedian probably best known for his appearances on The Chris Gethard Show, but if you’re unfamiliar with him, that’s fine. He still would like you to roast him. In what the event page describes as “a truly bold and stupid move,” Soloner crowd-sourced this show via Facebook, where people requested that it be “a roast” and “sad.” Please don’t let him down—say something vile to his face.